Get your people and data working together as one, no matter how big or small your business is. With our world-class SD-WAN, you can. Ready for a smarter network? Let our team come and understand your business and it's need to make your network, work smarter. Deploy new sites quickly using SD-WAN, getting people and data working as one from the get-go. Get faster connections at lower cost without the complexities of a traditional WAN. SD-WAN bundles security, performance and connectivity between cloud applications and your office. The networks of today are being asked to cope with new technologies (cloud computing), higher than ever user demands and the desire for a business to be able to change with changing customer and market needs. 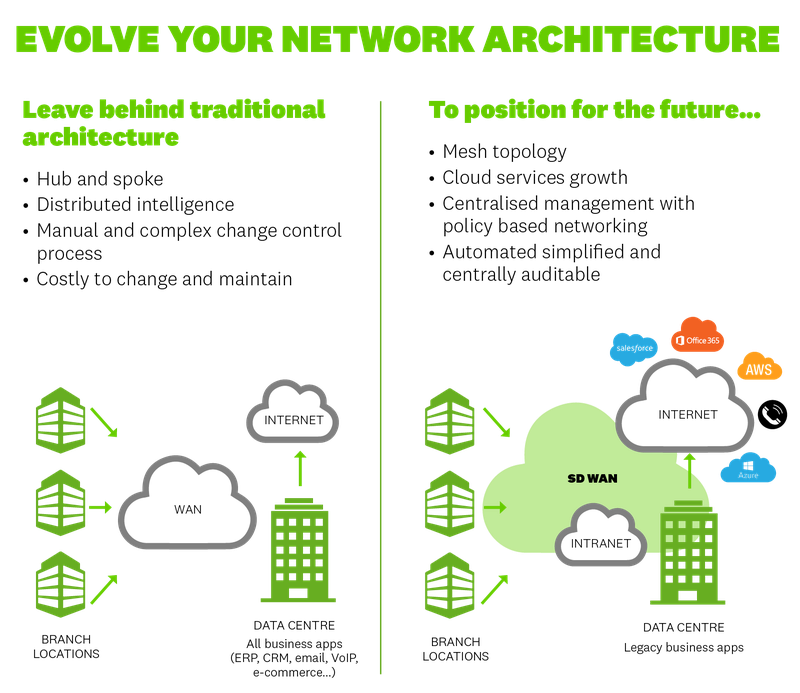 As a result, networks have become costly to maintain, to deploy changes to and to generate business growth from. SD-WAN is the new face of networking. Designed for today's business environment, the drive toward greater productivity, efficiency and collaboration. It's wide area networking on your terms. Following a global trend, SD-WAN is being adopted by growing kiwi businesses as they roll off traditional WAN contracts or as they realise the cost of managing complex VPN over the internet is no longer worth it. 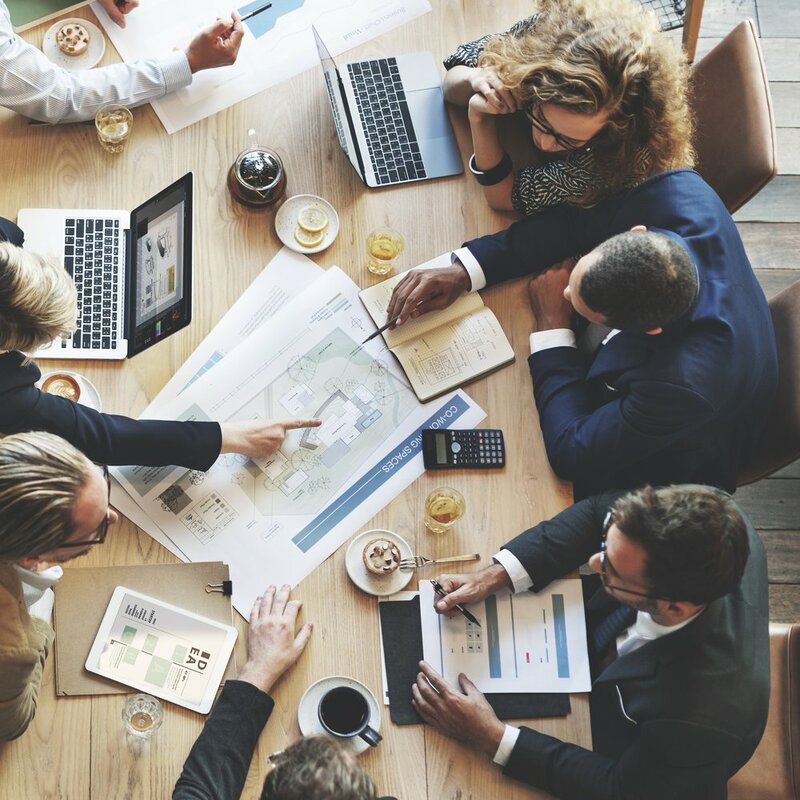 Connect your people to the applications they need most, regardless of the desktop device or connectivity route and whether it resides in the private or public cloud. Take control of prioritisation and optimisation criteria, you set the rules depending on the data and applications needed by your business. SD-WAN stands for software defined WAN. Traditional managed WAN architecture has remained static in the past 20 years but the applications they need to support have changed beyond recognition with the growth of cloud computing. This is driving the need to re- think what the WAN looks like and how it operates. SD WAN is a ﬂexible and resilient WAN, using a centralised, policy-enabled service control engine to dynamically set up and manage all WAN connections for network services such as VPNs, managed Internet access, voice over IP (VoIP), and network-based firewalls. SD WAN differs to traditional WANs in the way that the software dynamically manages traffic across the network based on the global policy settings. This means when it detects link congestion or dropped packets in the network it can automatically reroute the traffic to paths to optimise performance. NOW's SD WAN provides a portal for customers to see real time and historic traffic information in an easy to consume format. Read our SD-WAN product sheet for more detail about SD-WAN. "SD-WAN is driving the need to rethink what the WAN looks like and how it enables innovation and collaboration across the five (Hawke's Bay) councils." "SD-WAN has provided better redundancy, better bandwidth and better pricing - which positions all five Councils to undertake business transformation more efficiently moving forward." Reduced Cost: Faster and easier network management. Setting up or making changes to traditional managed WANs take an average of 90 days and usually involve a commitment to multi-year contracts, making it a more expensive and less ﬂexible option. SD-WAN enables the rapid rollout of WAN services to remote offices without the need for on-site IT support. New sites can easily be added without disrupting operations. Business policies can be changed from a centralised location and immediately pushed across the organisation through a centralised console. SD-WAN provides multiple access options and improved reliability through a single contiguous network. Internet connections (Fibre, 4G) are readily available, quick to deploy, and come at a much lower cost than equivalent WAN networks and with SD WAN compromise performance or security by using them. SD-WAN bundles security, performance, and connectivity between cloud and office. This significantly improves the experience for users across all your offices, when they use SaaS or cloud-based applications (e.g. Office 365, CRM platforms, Cloud communications). NOW's SD WAN provides a portal for customers to see real time and historic traffic information in an easy to consume format. NOW has partnered with Nuage Networks (Nokia) to offer a world-class SD-WAN service. The first of it's kind in New Zealand, we've taken the experience gained from overseas markets, to build a resilient SD-WAN service, tailored to the needs of kiwi businesses. Nuage Networks combines innovative technologies with networking expertise to deliver a comprehensive SD-WAN solution with the agility, security & performance global enterprises need to thrive.